I don’t know about you, but when the price point of a timepiece starts to creep beyond the realms of the everyday, things like price points start to get a little abstract. And, let’s be real here — for most people (though perhaps not most people reading this), watches with a sticker price north of $35,000 are definitely not an everyday proposition. But Baselworld is something of a fantasy land, so we thought it only right and proper to indulge in some hypothetical high-end watch speculation. 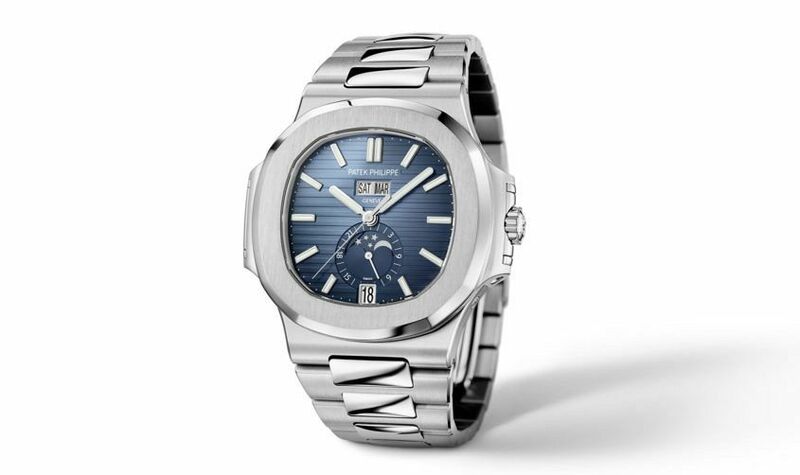 In the land of high-end steel sports watches, the Nautilus is king. 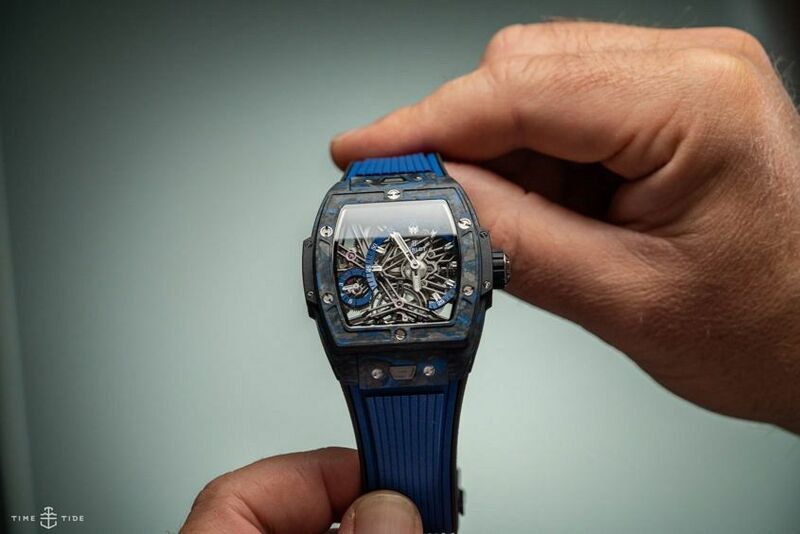 Baselworld 2019 saw that reign (and corresponding waitlist) grow longer with the release of the complex and symmetrical reference 5726/1A, which added a gradient blue to that famous striped dial. Also, I think Andrew’s a little bit in love. 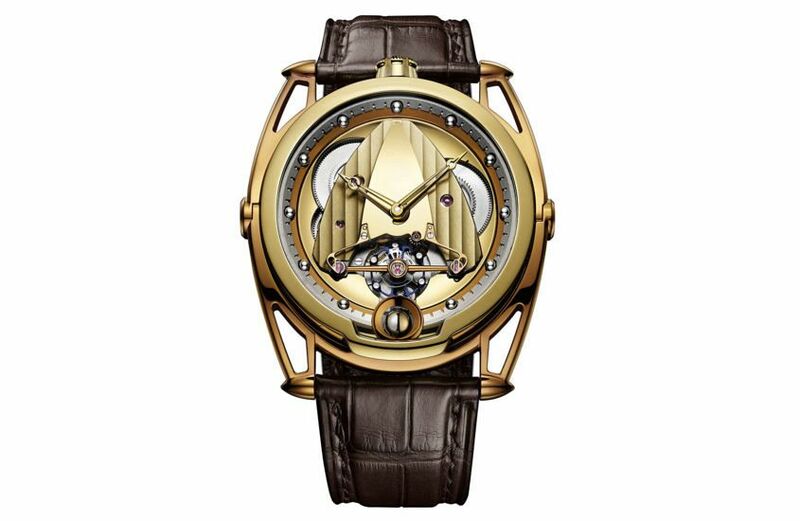 Speaking of love … It might be a many splendored thing, but in the straight-up splendour stakes, De Bethune’s latest take on their classic, sculptural DB28 has it beat, thanks to a rich yellow gold treatment of the titanium case. And finally, Hublot. One of my metrics for Baselworld best-ofs is Marie Kondo’s spark-joy-o-meter. And by this ranking, my appointment with Hublot is jam-packed full of sheer, unadulterated joy. Nobody needs a blue-flecked carbon case, no matter how delicately it’s filled with traceries of tourbillon. But that’s not the point. The heart wants what the heart wants.